Paolo Giovanni Nutini (b. 1987) is a Scottish singer-songwriter. His influences include David Bowie, Damien Rice, Oasis, The Beatles, U2, Pink Floyd and Fleetwood Mac. Born on born 9th January 1987 in Paisley, Scotland, his father is of Italian descent and his mother Glaswegian, although his father's family have been in Scotland for four generations. Nutini had no formal music training, and was expecting to follow his father into the family fish and chip shop business. He was first encouraged to sing by his music-loving grandfather and a teacher at his school who recognised his talent. Born on born 9th January 1987 in Paisley, Scotland, his father is of Italian descent and his mother Glaswegian, although his father's family have been in Scotland for four generations. Nutini had no formal music training, and was expecting to follow his father into the family fish and chip shop business. He was first encouraged to sing by his music-loving grandfather and a teacher at his school who recognised his talent. He left school to work as a roadie and to sell T-shirts for Speedway and spent three years learning the music business, performing live, alone and with a band, and working as a studio hand at Glasgow's Park Lane Studio. His big chance came when he attended a concert for David Sneddon's return to his home town of Paisley at the beginning of 2003. Sneddon was delayed, and as the winner of an impromptu pop quiz, Nutini was given the chance to perform a couple of songs on stage during the wait. The favourable reaction of the crowd impressed another member of the audience, who offered to become his manager. A Daily Record journalist, John Dingwall, saw him performing at the Queen Margaret Union, and invited him to appear live on Radio Scotland. Still only seventeen, he moved to London, and performed regularly at the Bedford pub in Balham whilst still legally too young to drink alcohol himself. Other radio and live appearances followed, including two live acoustic spots on Radio London, The Hard Rock Cafe, and support slots for Amy Winehouse and KT Tunstall. His debut album, These Streets, produced by Ken Nelson (Coldplay/Gomez), was released on 17th July 2006, and immediately entered the U.K. album charts at number three. Many of the songs on the album, including "Last Request" and "Rewind", were inspired by a turbulent relationship with a girlfriend, and "Jenny Don't Be Hasty" is a true story about encounters with an older woman. 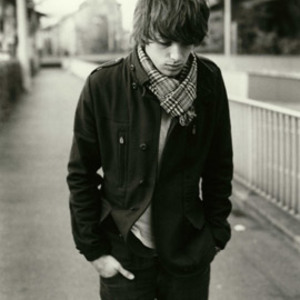 On 29th May 2009 Nutini released his second studio album, Sunny Side Up, after the first single from that album, "Candy", was released on 18th May. In July, he appeared on Friday Night with Jonathan Ross, performing "Coming Up Easy". This was released as the second single from the album on 10th August.